Laugh your way through a hilarious story told from three perspectives! Search the Mushroom Kingdom for a cure as Bowser, explore his innards as the Mario Bros., and discover the untold story of Bowser Jr.’s Journey. Overcome the fury of Fawful, action-packed battles, puzzling tasks, and giant bosses in a classic action RPG—stuffed with new content! 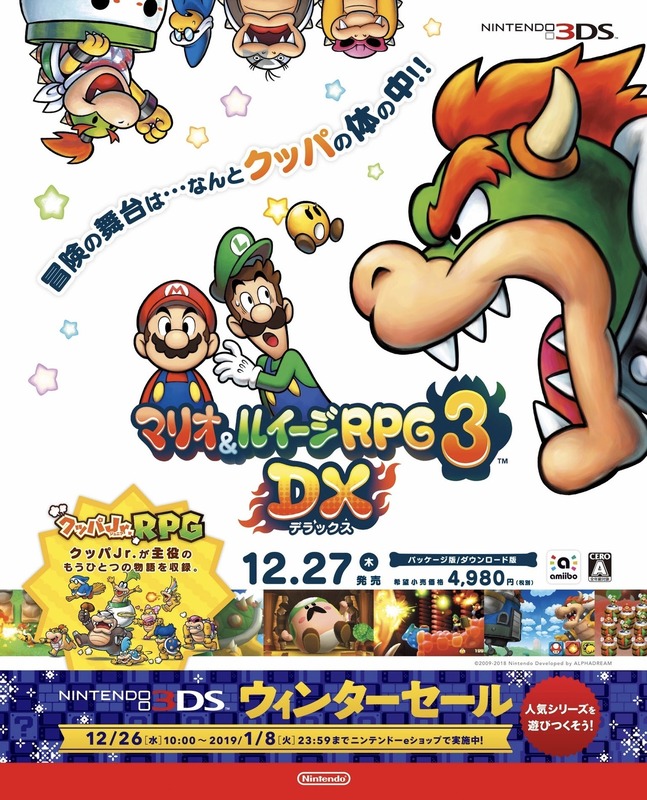 Mario & Luigi: Bowser's Inside Story + Bowser Jr's Journey is now available in Japan, and Nintendo is doing some light promotion for the game with a new commercial, and the print ad you see above. I really don't think the game is going to be a big mover, but I'm sure it'll end up in the top 20 for the week. We'll find out on Wednesday! 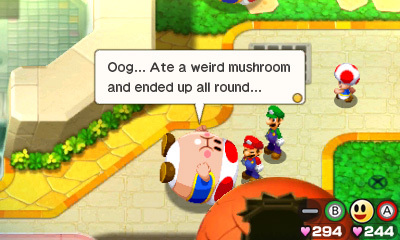 Mario & Luigi: Bowser's Inside Story has gotten quite a major facelift for its release on 3DS. 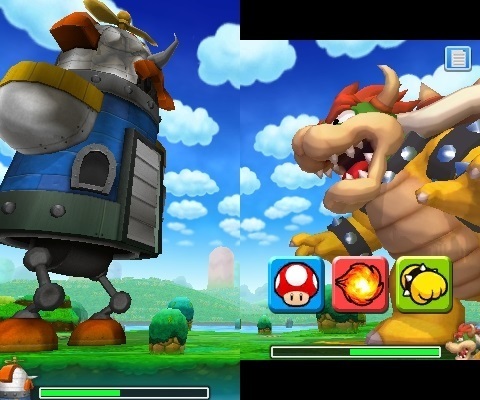 Check out comparison footage of the original and the new Mario & Luigi: Bowser's Inside Story + Bowser Jr's Journey above! 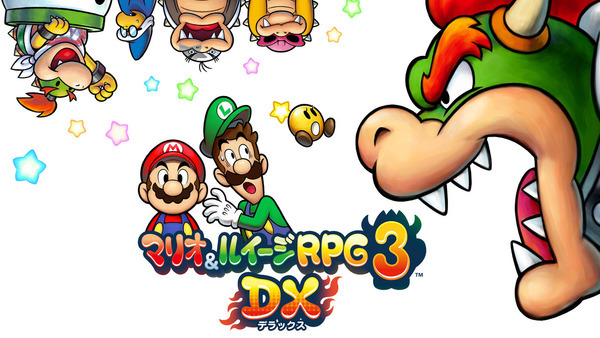 Mario & Luigi: Bowser’s Inside Story + Bowser Jr.’s Journey was available to preload in Japan a few days back, and now the same option has opened up in North America. If you're looking to jump in on a digital version of the game, you'll need to free up 5,349 blocks of space. Nintendo has released a video for Mario & Luigi: Bowser's Inside Story + Bowser Jr's Journey that showcases what some amiibo will offer up when scanned into the game. There's more details to be shared, but here's what we know so far. Man, Nintendo went all out on this Japanese commercial for Mario & Luigi: Bowser's Inside Story + Bowser Jr's Journey. I guess they think it can still pull in some sales in Japan. I can't imagine it'll do anything big on the weekly charts, but maybe a top 10 debut is possible. Preloads are now live for Mario & Luigi: Bowser's Inside Story + Bowser Jr's Journey in Japan. The title costs ¥5,378 and takes up 5,349 blocks of space. 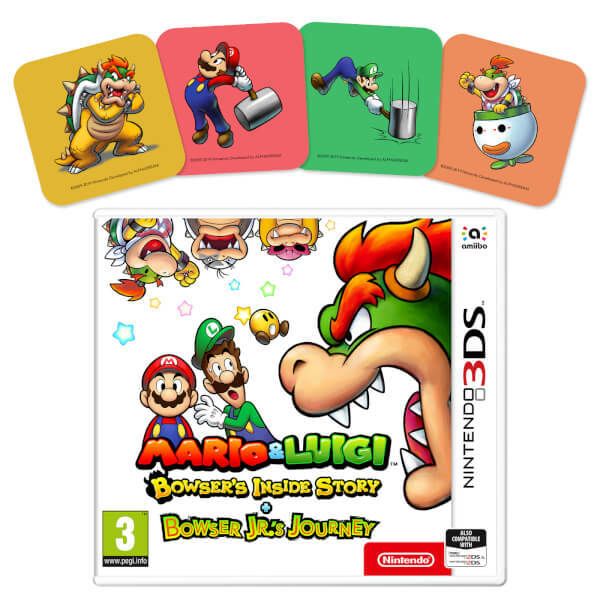 This bundle contains the Mario & Luigi Bowser's Inside Story + Bowser Jr.'s Journey Coaster Set!